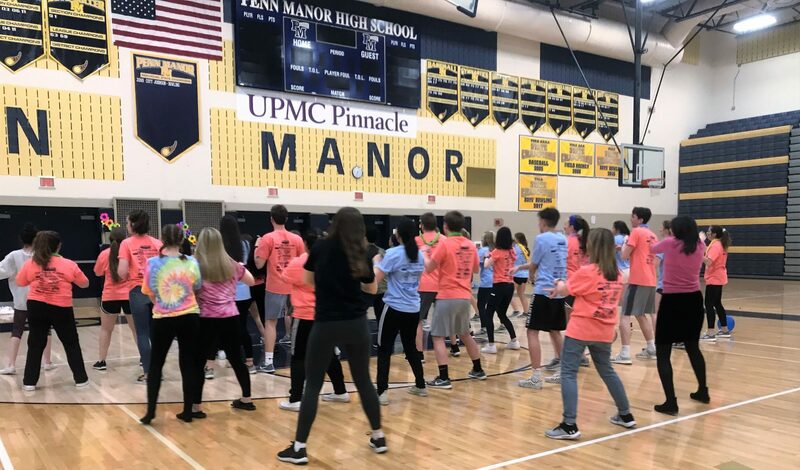 Thank you, Penn Manor students, staff, community members and businesses for making the 2019 Penn Manor MiniTHON such a success! 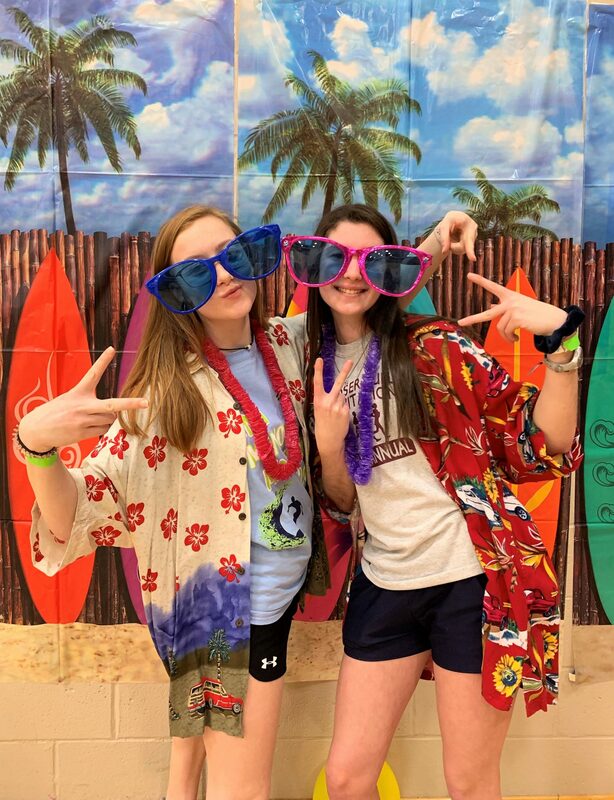 The fundraising drive and dance marathon, which ran from Friday night to Saturday morning, raised $41,207 — far exceeding the goal of $30,000 and last year’s total of $26,694. The money will go to Four Diamonds, an organization that provides support to pediatric cancer patients and their families. 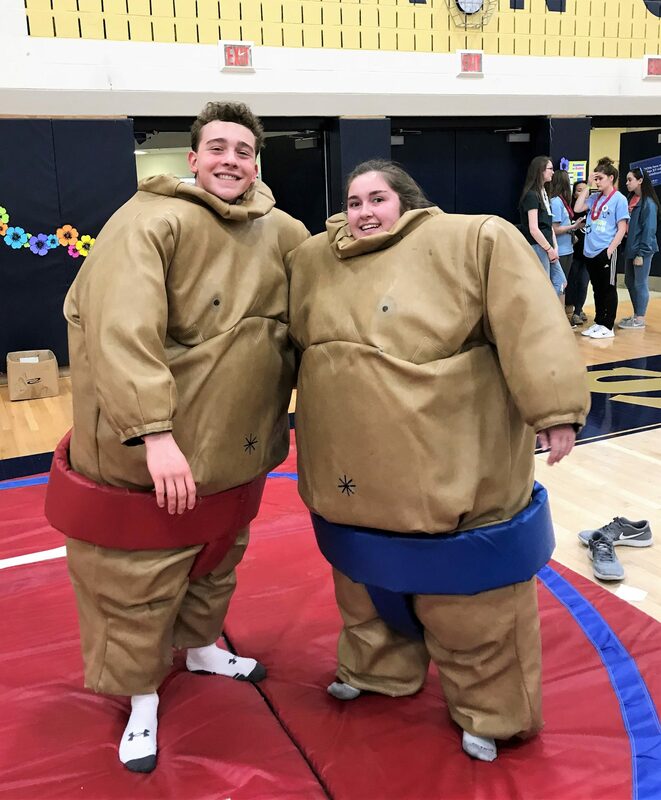 In addition to dancing, MiniTHON activities included Zumba, karaoke, a “man pageant,” dodgeball and basketball tournaments, sumo wrestling, multicultural foods, games and refreshments. The event featured a Hawaiian theme. Two speakers whose families have utilized Four Diamonds services, also addressed participants. 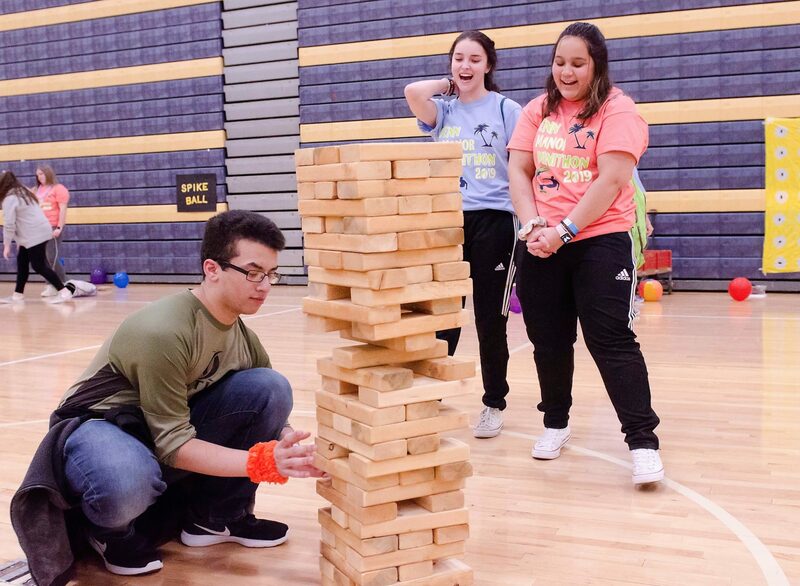 MiniTHON funds were raised earlier this school year via dodgeball and basketball tournaments, restaurant fundraisers, a pancake breakfast, student dance, T-shirt sales, a car wash and other activities. Students also solicited donations from area businesses. Thanks again to everyone who supported this worthwhile cause. 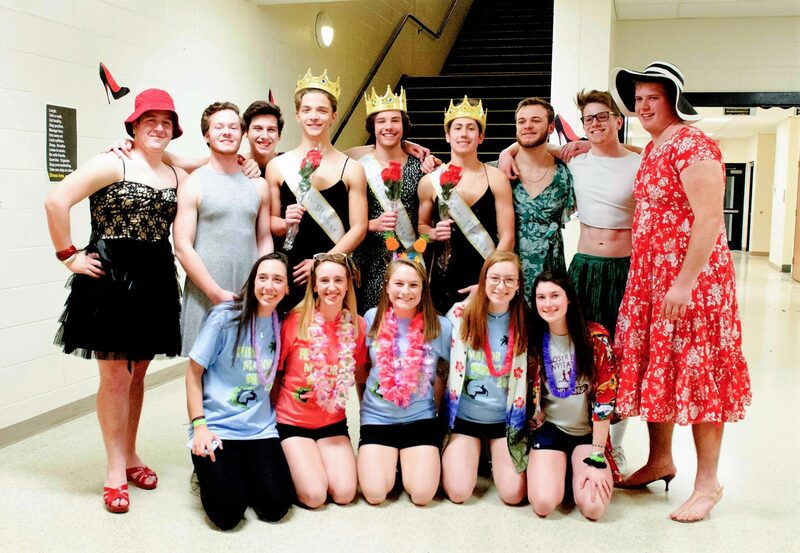 #FTK!